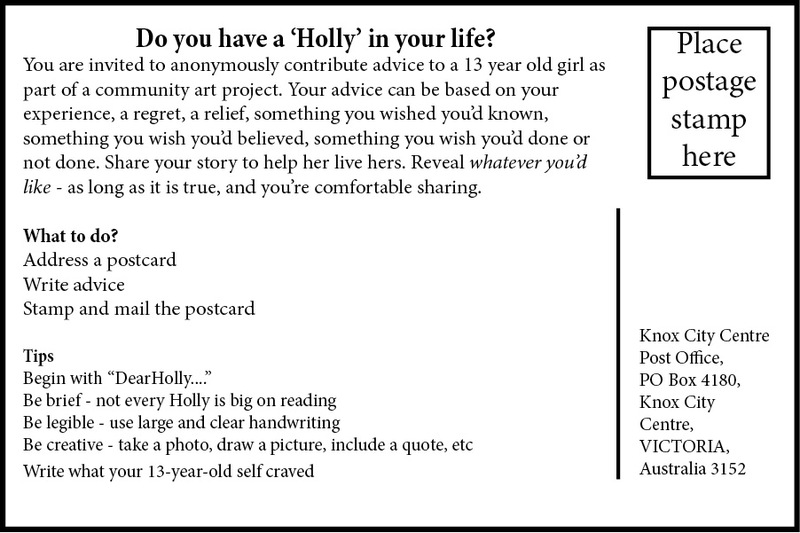 DearHolly is a community art project in which people send in advice to Holly – a girl who is about to turn 13 – via the back of a postcard or envelope. Each weekend I will publish the advice cards that arrive so that you can share them with the Holly in your life – a young girl either just about to enter her teens, or mid way through. 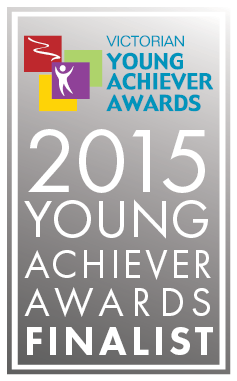 This collection is about providing advice, sharing secrets and anecdotes. Maybe you want to tell Holly to march to the beat of her own drum because your teenage years were spent in the chorus. Maybe you want to tell her to go to ‘that party’, kiss ‘that boy’, or stick it out at ‘that school’. Together we can create a living, breathing collection of real, gritty and heartfelt advice that teenage girls the world over can can share, gasp at, learn from, and live by. No longer will teenage girls have to rely on the repetitive, commercialised advice found in any given women’s magazine. From the moment DearHolly receives its first postcard, I, you, and the 1000s of other contributors will paint a picture of teenage life to help inspire, support and comfort those currently entering or going through it. I’m doing this for the Holly in my life. You should do it for the Holly in yours, or the Holly that you once were. Join me. ** Also accepting advice for males – simply address your message to ‘DearOlly’ instead. A dedicated website for boys will be created in due time, until then all submissions will be posted here each Saturday.